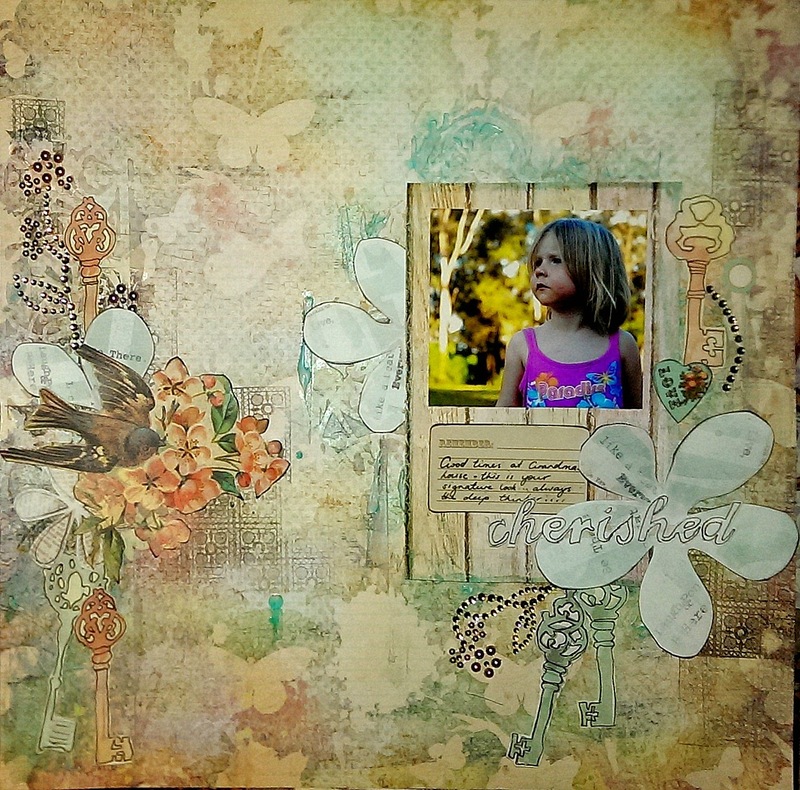 This is my entry for the Prima build a page sketch challenge for September - using the beautiful sketch above and all kinds of prima products. I started off with my Fairy rhymes collection kit, because it matched the butterflies in the sketch but added alot from my lifetime collection papers. I also used Prima masks, stamps and bling. While theres only one or two days left to enter - the challenge is over at : http://prima.typepad.com/prima/2014/09/ready-for-our.html#more so be quick!